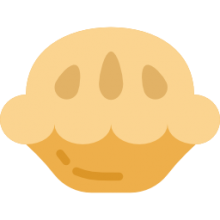 The Pie Face, or Pie In The Face, game has taken the country, nay, the world, by storm (Source)! It's a fun & silly party game that you've probably seen celebrities and YouTube stars playing. Getting creamed in the face, Russian roulette style. Nothing better than seeing your friends or relatives get splatted with whip cream. We’re going to give you a brief history of it, who makes it, how to play, and let you know what versions of it you should buy! Adults and kids 5 and up can have fun playing this entertaining board game together! Players take aim and "pie" their opponent with a cannon full of whipped cream. As you can imagine, this game is heaps of fun, and you need to know what versions there are out there. We managed to find 6 of the best, though a search on the likes of Amazon should likely reveal more. 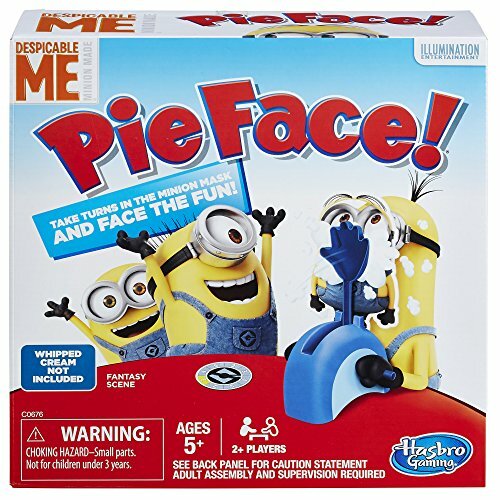 If you want to introduce the family to this game we recommend checking out Splat Family Party, Hasbro Despicable Me (definitely one for the kids), Hilarious Pie Face, Zuru Cake Splat, Hasbro Pie Face Showdown, and the original version. 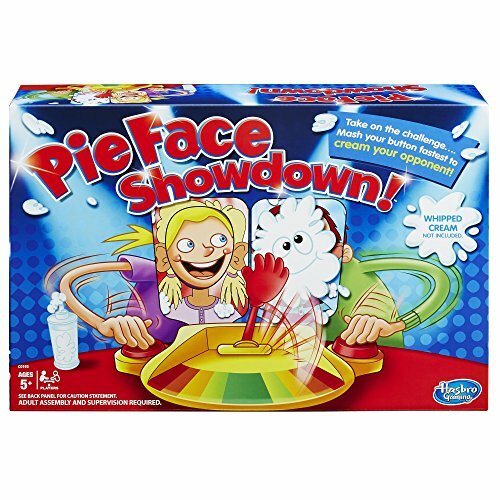 The Pie Face Game is certainly one for all seasons and is a game the entire family can get behind. If you want some fun and silly shenanigans at the next family hootenanny, this is definitely what you need. Oh, and don’t forget to film the fun and games for posterity purposes, and social media too, naturally! So, if you’re looking to join the party, and discover what you've been missing, you will need to know how to play. The whole crux of the gameplay revolves around the gag of a player getting splatted with cream or foam, but not knowing when it will happen. Each set comes with mechanical arm, with a sponge in the shape of a hand on the end. This sponge should be covered in whipped cream or shaving foam before starting. 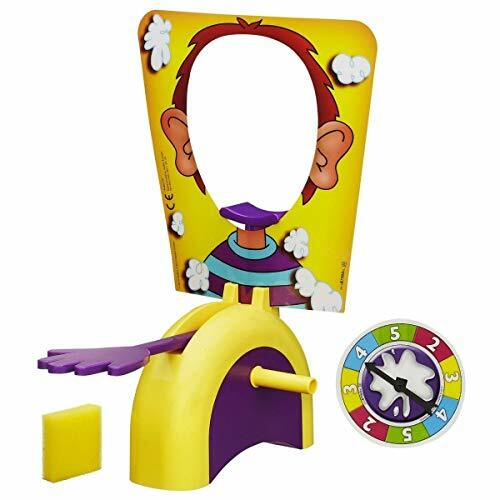 There is a cardboard target with a hole cut out, and, on your turn, you put your face in, and spin a spinner that gives you the number of times you have to turn your handle. The climax comes when one person turns their handle and the arm rises and splats them in the face with the foam or cream (Source). There are some games that become a huge part of culture and society. People enjoy the whimsical nature of them, and they start introducing them at parties. The next thing you know they are trending on social media, and becoming a cultural phenomenon. Well, yes, we’re in 2018, but not every game out there is as Meta as Pokémon Go. In fact, some games are much older than this, yet they still have a place in society. There are some games out there that are just perfect for the whole family, and give us all the opportunity for a great time. 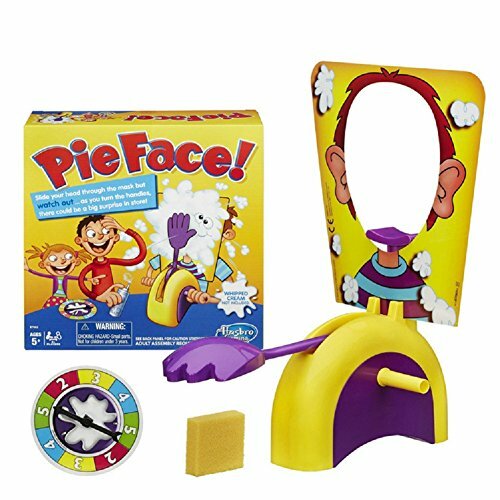 One of the most popular family games out there at the moment has got to be the Pie Face Game. The origin seems to have been the brainchild of toy giant Hasbro. They are the company responsible for much of the best kids’ entertainment in history, including Action Man, Transformers, and Monopoly! So, it seems as though the game was originally launched by Hasbro back in the 1960s, but with only modest success. In 1964, Hasbro was trying to target the family market, and this was their choice. Unfortunately, it was not the big hit they had been hoping, and so it faded into obscurity. Modern Revival This was the case up until around 2014, where the modern revival began. Strangely, by this time Hasbro no longer owned the rights to it – these belonged to Rocket Games, who launched it in the UK in 2014. 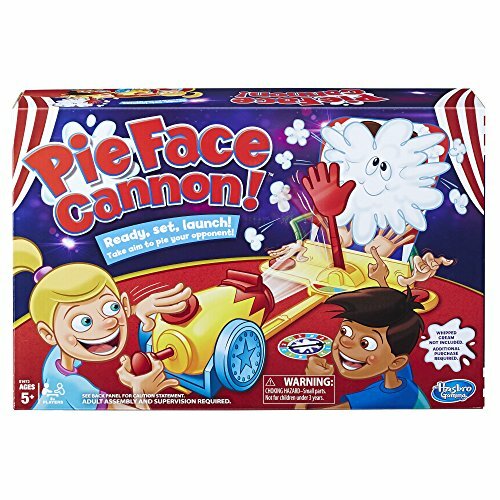 After a video emerged of a boy and his grandfather playing Pie Face, Hasbro took notice and decided to buy back the rights. As senior vice president of marketing Jonathan Berkowitz noted, it was one of those games for everybody. It’s made to be shared. Hasbro has doubled down on this and, through the strength of social media marketing and viral videos, it's been reborn. Media coverage was obviously sparse in the 1960s, but recent coverage has seen the popularity soar. In fact, its popularity grew so much that CBS even did a story about how many copies people were buying, and that it is the ideal pastime for families to enjoy together. This, coupled with the number of viral videos people have shared of them playing, has given it a lot of exposure. Blog posts and viral articles have followed, and it's become very much a part of cultural consciousness now; it’s easy to forget Hasbro only relaunched as recently as 2014!